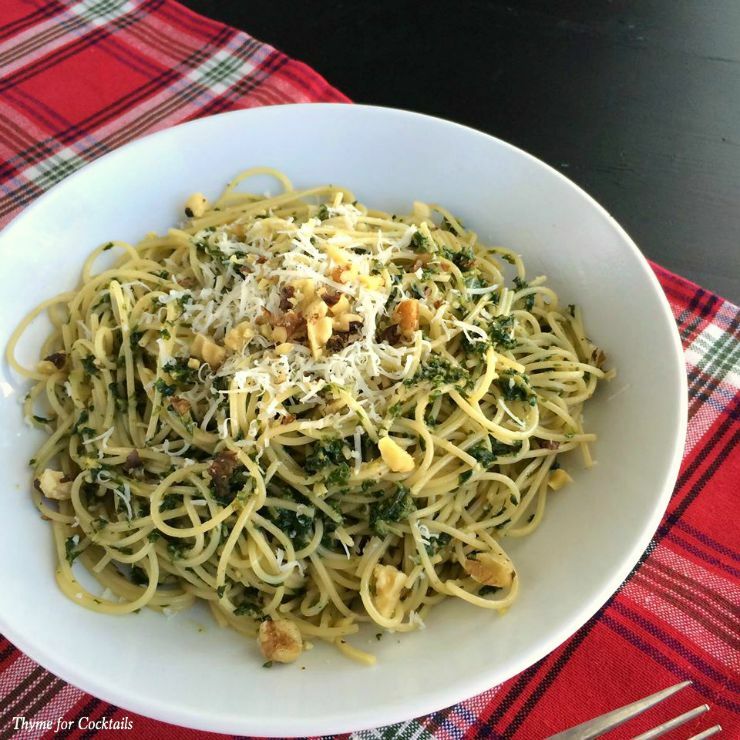 Start the new year with my healthy, vegetarian Kale and Green Pea Shoot Pesto. 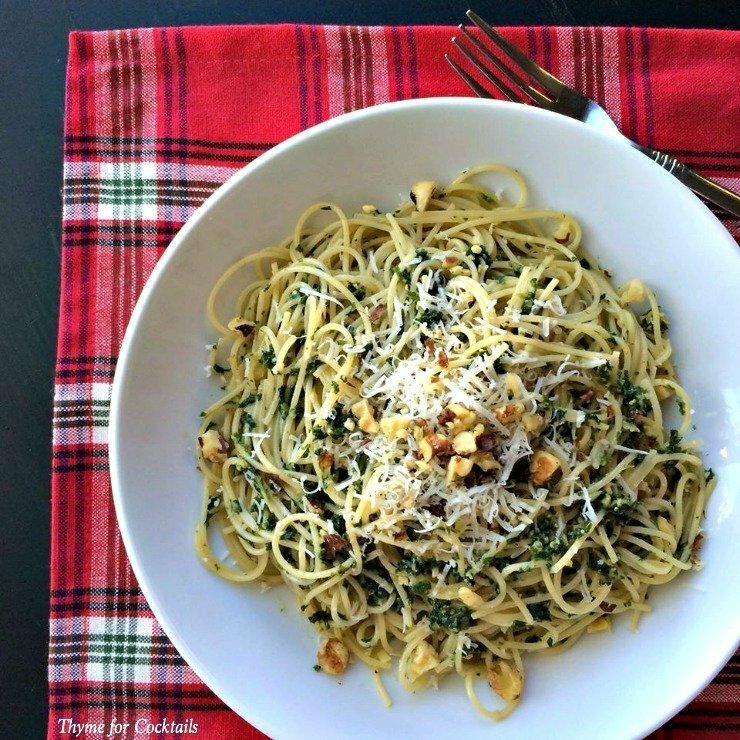 Earthy kale and tender pea shoots with walnuts, garlic and sweet Asiago cheese. While researching different kinds of pesto I knew I had walnuts in the freezer which are a good pairing with kale pesto (the internet says so) but no parmesan cheese. I did have it’s slightly sweeter cousin Asiago cheese though. The lemon juice paired with the green pea shoots created a clean, refreshing taste. You can easily substitute any other shoots, sprouts or micro-greens you have on hand. 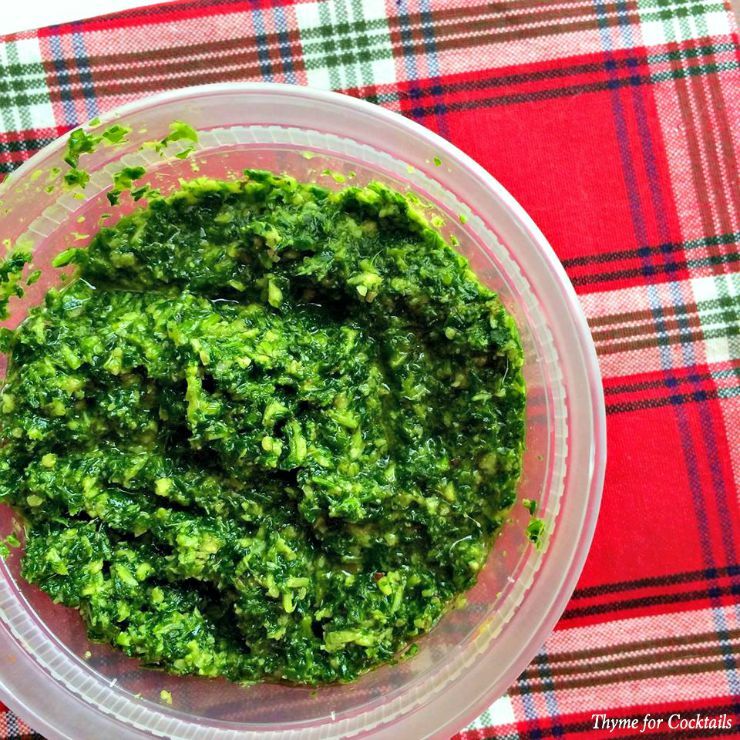 The result is an earthy pesto with a hint of tanginess. In a food process or blender add kale and pea shoots; pulse 10-12 times. Add chopped garlic, walnuts and lemon juice; pulse until finely chopped. While pulsing drizzle in extra virgin olive oil. Transfer to a bowl and stir in grated cheese. Salt and pepper to taste. Toss desired amount with pasta of choice. Kale and Green Pea Shoot Pesto sounds fantastic and so fresh minded! I love how simple and easy the instructions are!! Awesome Debbie! I have several other healthy green recipes coming up over the next few weeks that are sourced from my local farmers market. make sure to subscribe so you don’t miss any!